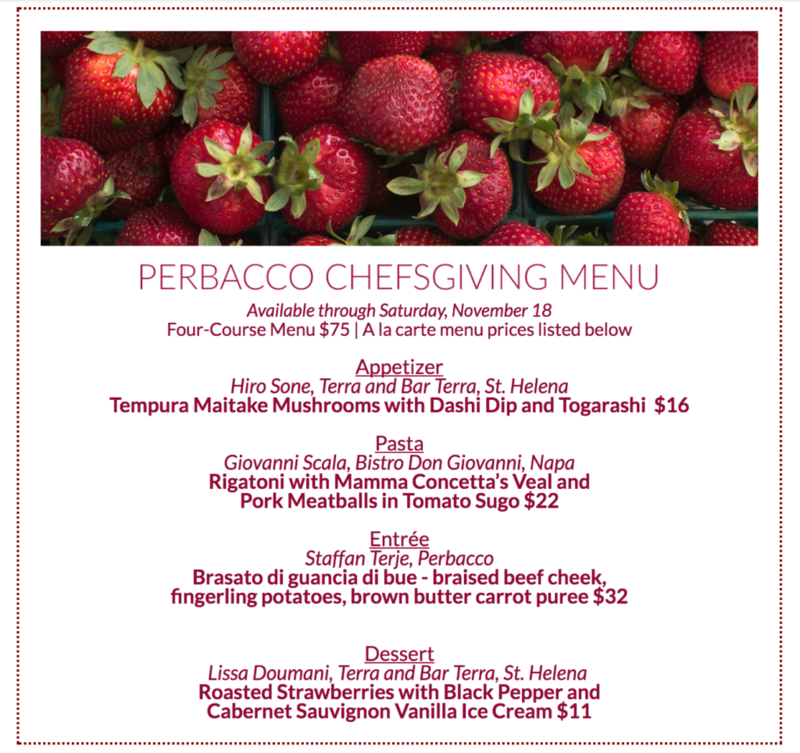 All week at Perbacco, in addition to our complete dinner menu, Chef Staffan will be preparing a special menu featuring courses from our favorite Napa Valley classic restaurants — Bistro Don Giovanni, Terra and Bar Terra. The 4-course menu will be offered at dinner through Saturday, November 18 for $75 per person, and dishes can also be enjoyed a la carte. All proceeds will be donated to fire relief and the full menu can be found below. 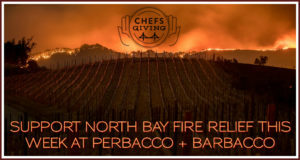 $10 from each bottle of Napa, Sonoma, and Mendocino wine sold will also be donated. To join us in giving back, make reservation online here or call Perbacco: (415) 955-0663. We hope you will join us! Together we can help our North Bay neighbors in need.